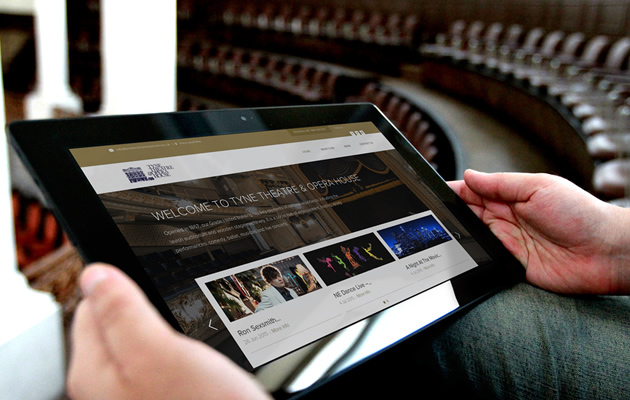 We’re delighted to launch the new Tyne Theatre & Opera House website. We’ve been working with their Events & Marketing Co-ordinator, Amy Orr to produce a new website that showcases the fantastic heritage of the theatre and promotes their exciting calendar of events for 2015. The Theatre is the oldest working Victorian theatre in the world and they are determined to celebrate this and being one of Newcastle’s cultural gems. The new website is focused around great user experience; being responsive to work across all devices and clearly listing events with links for users to make a booking. There are also links to sign up to the Web Club, keeping members up to date with priority information and promotions. All of this information can be controlled and updated easily using the WordPress platform for easy content management. Its been a great project for us to work on as we’ve learnt so much about the building on Westgate Road and the features of such a huge Victorian theatre. The mechanical workings under the stage are quite incredible to see! The new website is a positive step in the Theatre’s strive to better promote themselves as one of Newcastle’s leading live performance venues. We look forward to continually developing the new website and working to help promote the Theatre with various forms of online marketing over the coming months. If you’re looking for a new website, then why not speak to us today?